Don Lindsay has made outstanding professional and personal contributions to improving the lives of children and youth in British Columbia. 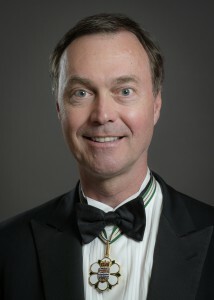 He is President and Chief Executive Officer of Teck Resources Limited, , Canada’s largest diversified resource company, which is headquartered in British Columbia and has helped build communities across the province for over 100 years. Deeply committed to the well-being of children, Don’s dedication is exemplified by the time and effort he puts into his fundraising activities. He led the recently completed $200 million Campaign for BC Children, a seven-year campaign to raise funds for a new Children’s Hospital and expanded pediatric care across British Columbia. Serving as chair of the campaign for seven-years, he worked alongside other mining industry and community leaders to ensure the campaign, the largest hospital fund raising initiative in Western Canada, reached its goal. This is all part of British Columbia’s largest-ever health-care funding initiative, a $683 million redevelopment project that involves four health care/educational institutions and the provincial government. A first in Canada, this project sparked an innovative design and planning process aimed at ensuring the new hospital design is informed by the expertise and needs of patients, parents, staff, architects and others. Don Lindsay has led the development of the Zinc Saves Kids campaign, developed in partnership with UNICEF to address zinc deficiency in children. Under his leadership, Teck – as one of the world’s largest zinc producers – launched a Zinc and Health program which has helped improve the health of more than ten million children and counting worldwide.